When your garage door is working correctly, it keeps your home or business secure, acts as a barrier against thieves or rodents and insulates your space against Balch Springs weather. At Action Garage Door, we know that if something goes wrong, you will want reliable garage door repair as soon as possible. That is why our team of trained specialists is available around the clock to make repairs. No matter what time of day it is, you can call our team to request emergency garage door repair services. Within an hour, one of our specialists will be there to help resolve the issue. We pride ourselves on our same-day service for customers with all kinds of repair needs. No two home or business owners are alike, and our garage door repair company understands that no two will want the exact same garage doors and set up. 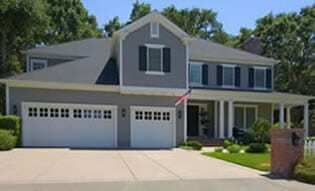 At Action Garage Door, we offer a variety of garage doors for installation in Cedar Hill homes and offices. Some of our options include, Carriage House, Olympus, Classica, Stratford/Heritage, and Amarr. At Action Garage Door, we offer free in-home estimates for any project you might have. We will fix the problem immediately; if we can’t, you can rest assured that your quote is good for 30 days. 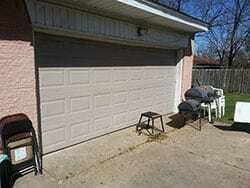 All our team to help protect your Balch Springs home or business with efficient garage door repair. Contact us today for a free quote. The best garage door repair and replacement service for Balch Springs residents is really only a phone call away. 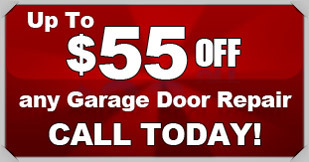 If you need service or an entire new door, don’t hesitate to call the team at Action Garage Door. We’ll respond with the speed and professionalism that you need, and our service always comes with a smile! Balch Springs is a small racially and ethnically diverse suburb located to the east of downtown Dallas. It was founded in about 1840, and named after the natural springs located on the Balch family land. The city incorporated in 1953 to avoid annexation by a rapidly growing city of Dallas. Today, it is nearly bisected by Interstate 635, the highway loop that surrounds Dallas; it is also traversed by Interstate 20 and U.S. 175 along its southern border, but it still retains its personality. It lies adjacent to the city of Dallas on the south and west and is bordered by Mesquite to the north and east. The land area of Balch Springs is only about nine square miles. The more than 25,000 residents of this small city appreciate semi-rural atmosphere even though it is only 16 miles from downtown Dallas. They also like the cohesive sense of community that it provides. There are numerous local events and amenities and a reasonable cost of living. While groceries and goods and services in Balch Springs cost a bit more than the national average, home prices are 53 percent lower and the median rent is four percent lower than the national norm. However, even with a median home price at only $82,500, only about 56 percent of households are owner-occupied. Median household income of Balch Springs’ owner-occupied homes is $50,710, equating to 25 percent below the national average. Local school scores are higher than both Texas and national averages, with four elementary schools located within its borders. Its students are served by either the Dallas Independent School District or by Mesquite schools, depending upon which part of they call home. The city also boasts a private school, established in 1974, that is affiliated with the Seagoville Road Baptist Church. Living in Balch Springs means that families can be in the country for weekend and leisure time activities almost as easily as they can access the shopping, dining and entertainment advantages of the big city. The city’s location makes commuting to work easy via highway. In addition, the Union Pacific Railroads 360-acre intermodal facility and Mesquite Metro Airport and located just minutes away. Also, Dallas Love Field, home of Southwest Airlines, and DFW International Airport are within about a 45-minute drive. Some of the best reasons to love Balch Spring are the highly-anticipated celebrations where the whole community comes together for fun. Annual events include a Spring Fest and Fourth of July Festival and Fireworks Show, both held at the Balch Springs Recreation Center, a special Veterans Day Breakfast in November and the traditional Christmas Parade and Tree Lighting. Balch Springs residents may be individuals, but they know how to have fun together, and they’re always ready to help one another if needed. Great price, got here quickly. I would recommend them, this our second time we have used this company. Great quality work for a reasonable price. Thank you. I had a wonderful expetirnce. The repair manual was friendly and curtious. The. Service manual arrived within 30 minutes of my initial phone call. Garage Door Repair!, Installed a New Torsion Spring End bearings & Rollers as well as Applied A Door Tune up!